As a Realtor, you know that it is important to have a steady stream of leads coming in. If your leads dry up then your future earnings disappear. That is why the most successful real estate agents and brokers invest in their online identity. One of the best investments tends to be a local Real Estate Website. The question is does your website only feature your listings and nothing else? Imagine visiting a store where they only had a few items for sale and none of them suited your needs. The likely hood of you making a purchase would be very slim. That’s why I always advise my clients to create a Real Estate Website with IDX. This gives you the opportunity to feature virtually every property that’s for sale on the MLS on your website. This will allow you to retain your web visitors and provide them with something that they want, which in turn increases your conversion rates and lead generation. Your site will provide true value for your clients. So which IDX Solution should you choose? This isn’t an easy question. First of all there are to many IDX Providers for me to list. So instead I will give you a few DO’s and DON’T’s when choosing a provider. DON’T – Choose a solution that’s created by your competitor. Did you know that some of the largest IDX Providers are also directly competing with your website for Buyers, Sellers and Web Visitors? The problem is that when it comes to SEO, having a link pointing back to their website directly or indirectly decreases your chances of reaching the top of page 1. DO – Choose an IDX Provider that is independent and not in competition with you. My recommendation is IDX Broker (I am an Approved Developer Partner with them and my clients setup fee is waived creating instant savings). DON’T – Have your IDX iFramed! This is key because if you have any hope of reaching page one of Google then it’s in your websites best interest to have the homes directly attributed to your domain name. DO – Ensure that your IDX provides you with the best SEO features so you can rank well in the search engines. 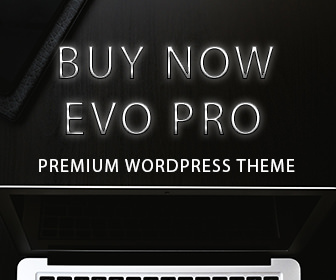 DON’T – Spend a fortune or go for the lowest price option. I have seen solutions that can easily cost you a Car Note and I’m talking about a luxury car note. I have also seen solutions that are equivelant to the 99 cents store. Great Price horrible quality. A good solution should cost you around $50 to $70 per month. DO – Realize that IDX for your website should be considered a primary investment. DON’T – Set up your IDX by yourself. Most solutions allow you to just signup and then leave you hanging. You would have to litterally study the documentation and fine tune your IDX by yourself. DO – Make sure that you have a dedicated IDX Approved Developer Partner / Consultant that will do the innitial setup of your IDX and be your point person for future questions. This option will allow you to maximize your Real Estate Website with IDX. DON’T – believe that all solutions are created equal. DO – Choose a provider that has been around and has a stable solution. 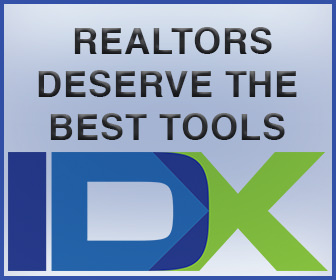 As mentioned earlier I am an Approved Developer Partner of IDX Broker. IDX Broker is considered to be one of the best IDX Solutions for Realtors with all the features you would need to have a highly competitive Real Estate Website. Why Did I Team Up with IDX Broker? I chose IDX Broker after considering all the different options available. After carefully analyzing the various providers, I decided that for my Web Design Clients, I wanted to provide the best IDX Solution for the right price. I highly recommend IDX Broker and you can signup directly with them. They have two options. IDX Broker Original and IDX Broker Platinum. Ultimately I recommend you choose the Platinum setup as it has more Advanced features and is where the focus of their development team is on. The difference in Price is just $20. Original costs $39.99 and Platinum is $59.99. Signing up directly with them will cost you an additional $99 setup fee. 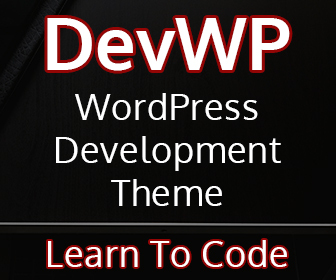 Agents & Brokers that signup through my developer link will save the $99 setup fee. You only need to pay the monthly fee.